Diageo, has announced the release of the oldest expression in its Mortlach single malt Scotch whisky range, as part of the launch of its new Singing Stills series. Mortlach 47 Year Old (46.8% ABV) limited to just 94 bottles, was drawn from the three refill American Oak hogsheads, which were filled on April 1971. 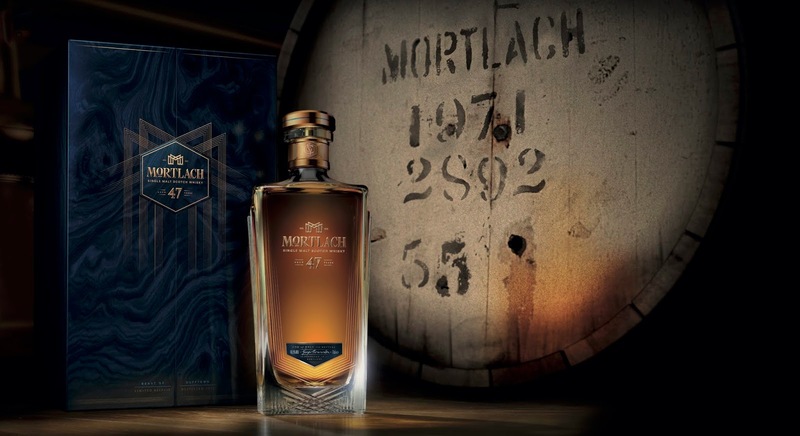 Launching on April 9th, the first bottle of Mortlach 47 Year-Old (RRP £10,000) will be released through a global online registration hosted by Justerini & Brooks. On the eve of the opening of the global registration, 47 whisky enthusiasts in London and Singapore will join an exclusive tasting experience to become some of the first people in the world to taste the oldest expression from the Mortlach Distillery. A further bottle of Mortlach 47 Year-Old, will be available ahead of the global registration via auction for charity by Bonhams, on March 25th in Singapore. All the money raised from the private event will go to the chosen charity partner; Daughters of Tomorrow, a charity dedicated to supporting underprivileged women with the skills and confidence to make a living for themselves and their families.